As I’ve been preparing for the Get Your Teach On Conference (which is NEXT WEEK, btw! Eeeeh! ), I’ve been thinking a lot about number development and all the fun things you can do with it. 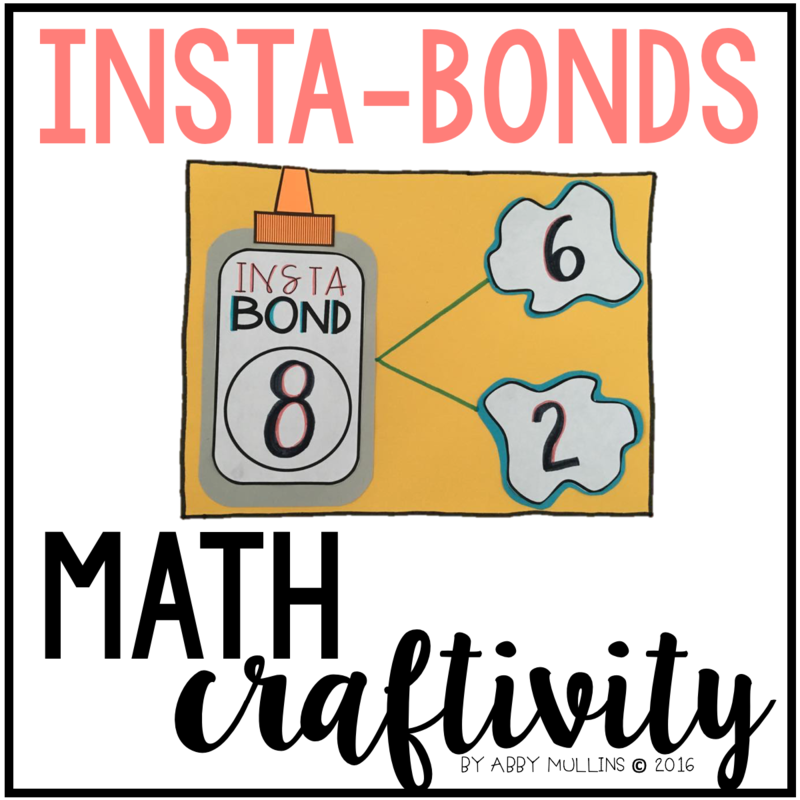 My Pinterest board is just FULL of ideas, including a set of math craft for kiddos in kindergarten and first grade that you just have to check out! Each math craft supports a skill in number development. This one is probably my *favorite* to go along with subitizing. Stare into my subit-eyes…. These two are fun little ways to make ten using ten frames and dot stickers (I think I purchased mine at Walmart). I call these guys Dice Dudes and they’re the cool way to subitize the dots on dice! The white dot stickers are from The Dollar Tree. Working with number bonds or missing numbers? Follow up instruction with one of these fun little crafts! Oooh, I love this one, too! This one if perfect for the beginning of the year (when you’re working on color identification, too!). Make 5 or 10 with a box of Countolas! Love cats AND number lines?! Got. You. Covered. This little craft doubles as a usable number line and is perfect to send home with kiddos after use so that they can hang up a little reminder at home! And, though Pattern Laundry doesn’t work with numbers directly, recognizing and creating patterns is definitely a precursor for recognizing patterns in numbers! I love this one because you can use it in a few different ways and let kids customize it with their creativity, too! Lastly, how about a little fun with base ten confetti?! All of these activities can be purchased in a 10-craft bundle by clicking the graphic below. However, you can also snag each craft individually, too! Just click the craft you’re interested in below. Success! Now check your email to confirm your subscription and download your FREE math craftivity! Previous Post: « 60 Fun, Hand Drawn Fonts! Thanks! I’m headed over right now to get them!! Thank you so much for the sweet feedback, Linda!